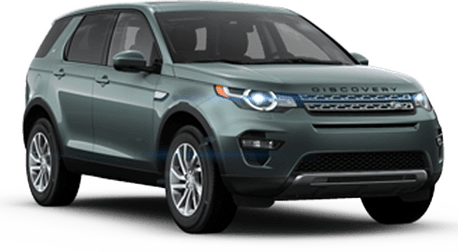 Drivers near San Jose, CA searching for a fun and luxurious SUV are in luck with the new 2019 Land Rover Discovery Sport! The highlight of the 2019 model year in regards to the Land Rover Discovery Sport is the addition of the new Landmark Edition. New 2019 Land Rover Discovery Sport Landmark Edition models (placed in between HSE and HSE Luxury trim levels) include a 237-hp, 2.0-liter turbocharged four-cylinder engine that offers a top speed of 124 miles per hour and a 0-60 mph time of just 7.1 seconds (or 7.4 seconds when equipped with the optional third row). Additionally, new Landmark Edition models offer custom 19-inch split-spoke Gloss Dark Grey alloy wheels, perforated grained leather seats, Autonomous Emergency Braking, navigation and so much more for a starting MSRP of just $44,795! Keep reading to learn more about the new features and changes across the three additional trim levels of the new 2019 Land Rover Discovery Sport at Land Rover Stevens Creek in San Jose, CA! All 2019 Land Rover Discovery Sport models include a host of high-tech and innovative standard features including base SE models! Check out rain-sensing windscreen wipers, ambient interior lighting, a rearview camera, a rear parking aid, partial leather seating and a 10-speaker audio system with an eight-inch Touch Pro infotainment system. HSE models add front fog lights and Xenon headlights with upgraded alloy wheels, LED Signature lighting, 10-way grained leather memory seats, a powered gesture tailgate and more! Top-of-the-line Land Rover Discovery Sport HSE Luxury models include upgraded alloy wheels,10-way Windsor leather memory seats, configurable mood lighting, a 380-watt Meridian™ Sound System, Touch Pro Navigation with InControl Apps™ and so much more! Discovery Sport HSE and HSE Luxury models offer an available 286-hp, turbocharged 4-cylinder engine offering an impressive top speed of 137 mph! 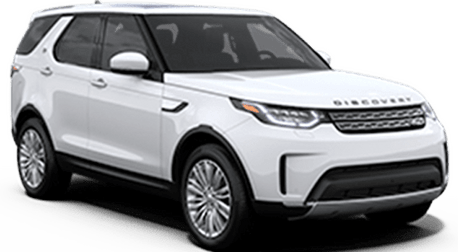 Schedule a test drive of a new 2019 Land Rover Discovery at Land Rover Stevens Creek of San Jose, CA!